Vivo had released the Vivo V15 Pro last month, and after the announcement of the V15 earlier this month, the device is finally out for pre-orders. Unlike the 6.39-inch super AMOLED display of the V15 Pro, the Vivo V15 has a bigger 6.53-inch FHD+ IPS LCD display with Corning Gorilla Glass 5 on top as protection. The processor on the V15 is a MediaTek HelioP70 chipset while the processor on the V15 Pro is a Snapdragon 675. In the cameras section, the V15 has a 32MP pop-up front-facing selfie camera and in the rear are the 12MP dual-pixel sensor, a 5MP depth sensor for portraits, and an 8MP 120-degree wide-angle cameras. And unlike the V15 Pro’s in-display fingerprint sensor, this has a rear-mounted fingerprint sensor. The device is powered by a 4000mAh battery which supports Dual-Engine fast charging including a micro USB port. Display: 6.53-inch (2340 × 1080 pixels) FHD+ 19:5:9 aspect ratio and Corning Gorilla Glass 5 protection. 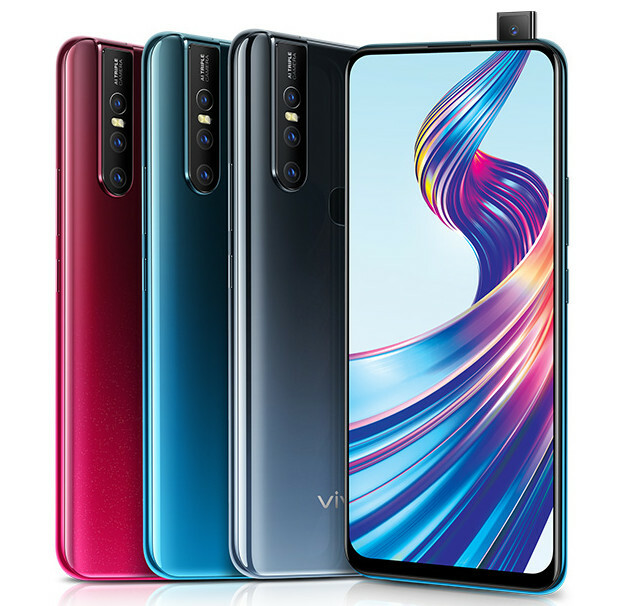 The Vivo V15 is available in Royal Blue, Frozen Black, and Glamour Red colors as said by the company for Rs. 23,990. You can pre-order the device from Vivo’s online store, Amazon, and Flipkart from 25th of March while the shipping starts on April 1st.